A Lucas Moura hat-trick and a strike from Victor Wanyama were enough to brush aside the Terriers at the Tottenham Hotspur Stadium as Pochettino's side moved into third place on 67 points. 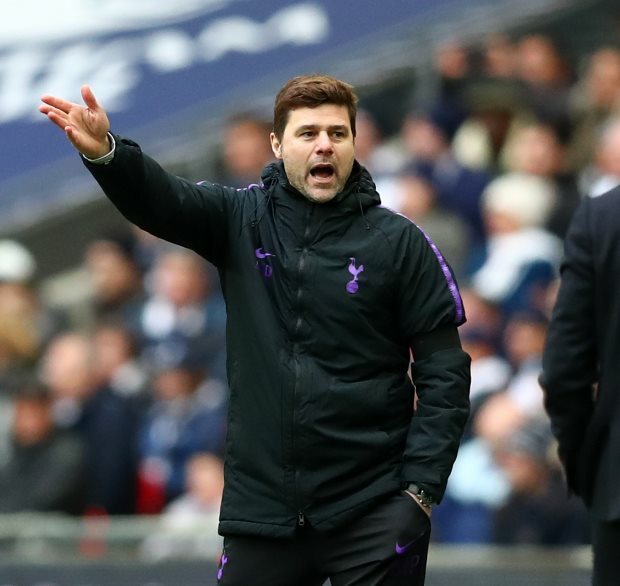 Pochettino is expecting the top four battle to go right to the wire and as such is pleased to have boosted his side's goal difference as he believes it could be decisive. "For sure it's going to be tough", Pochettino told his post-match press conference. "We are fighting against big sides and teams that are building to win the league or to win big trophies or be in the top four. "I think until the end it will be a very tough race. Of course, to score goals in that opportunity can help in the end. "Goal difference can be decisive at the end of the season to achieve the top four", the Argentine added. Tottenham now switch their focus back to the Champions League with a visit to Manchester City set for Wednesday night. Pochettino's men travel north boasting a 1-0 advantage from the first leg of their quarter-final tie.